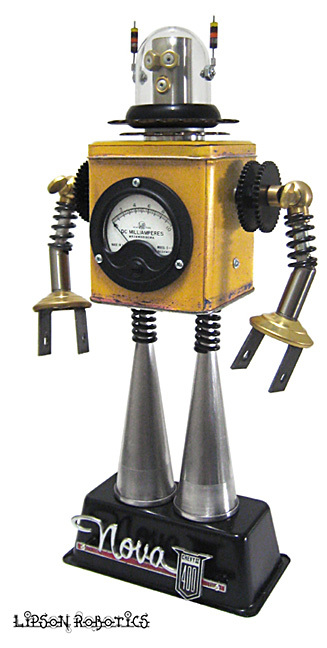 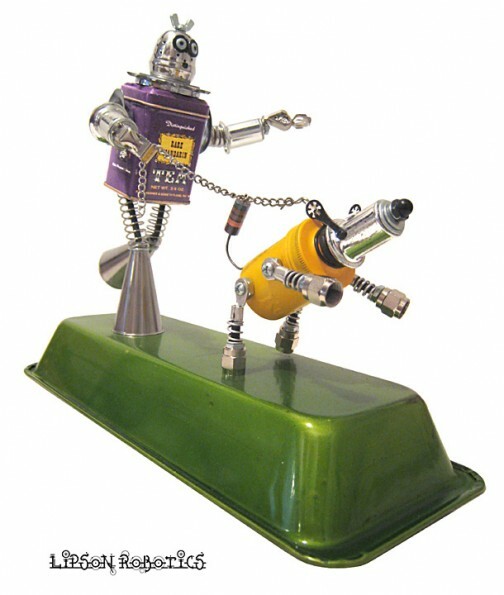 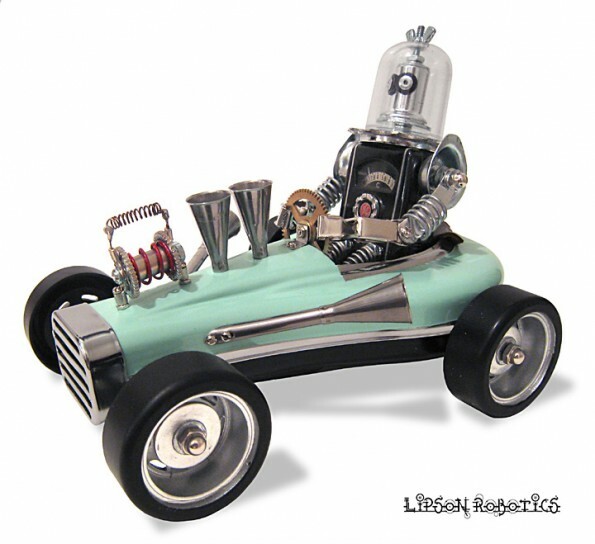 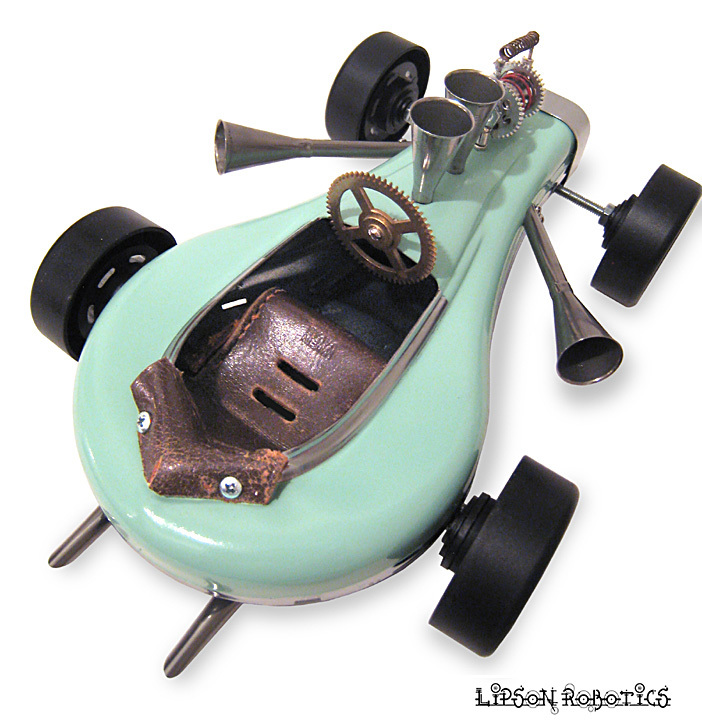 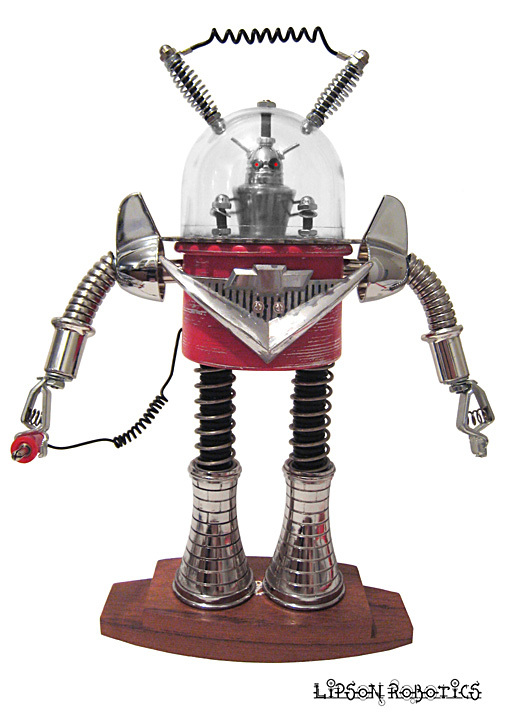 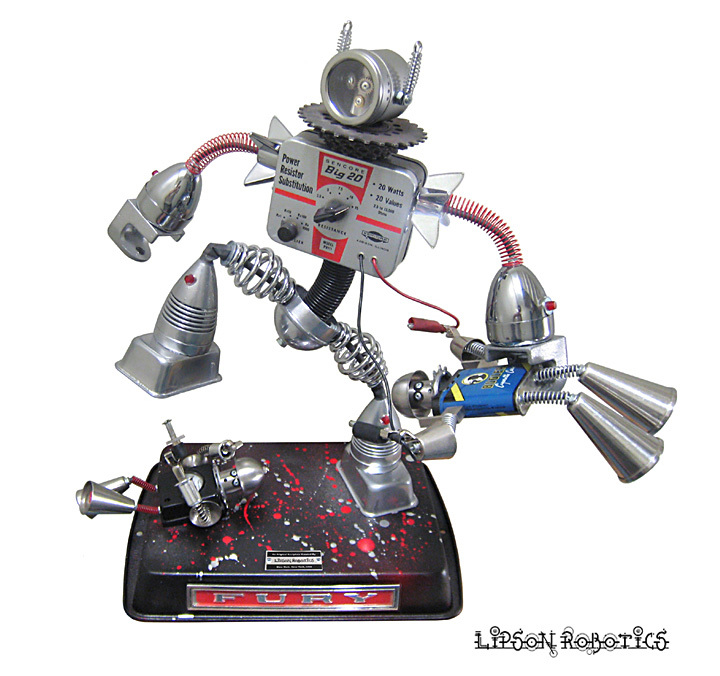 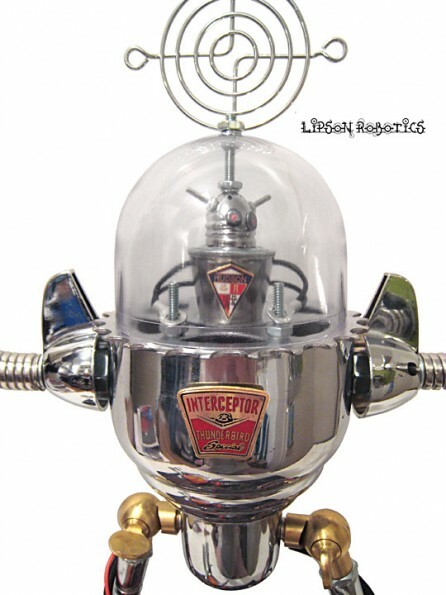 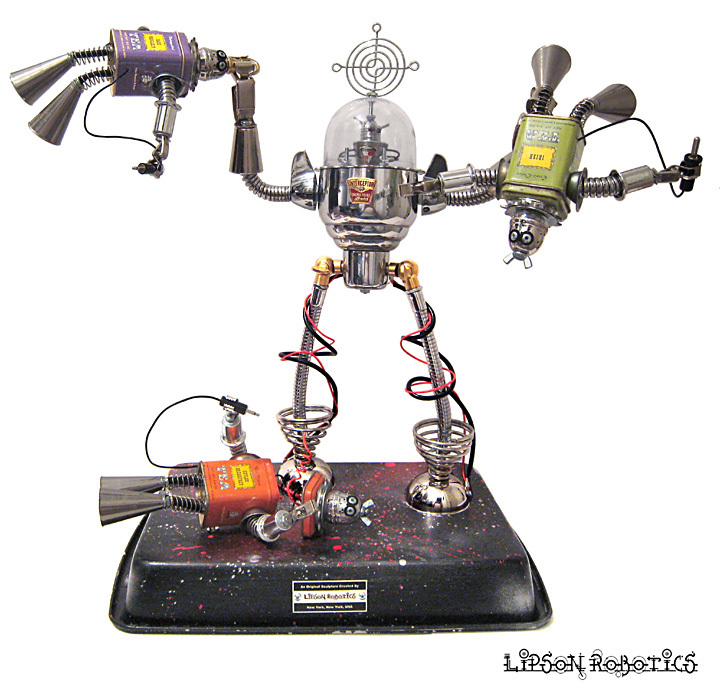 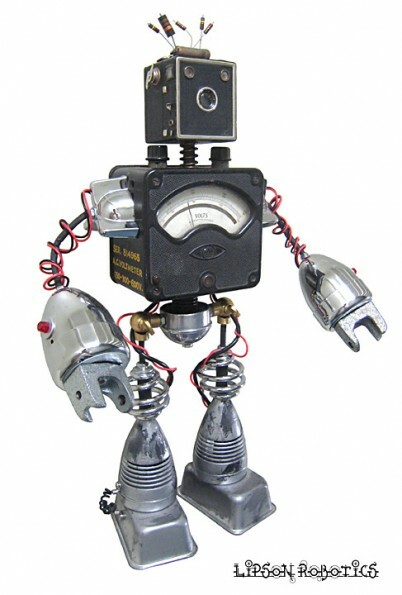 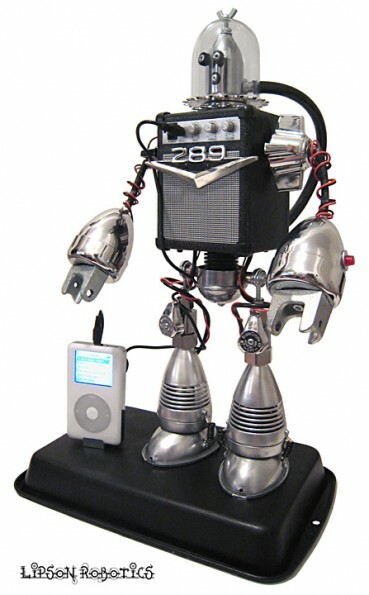 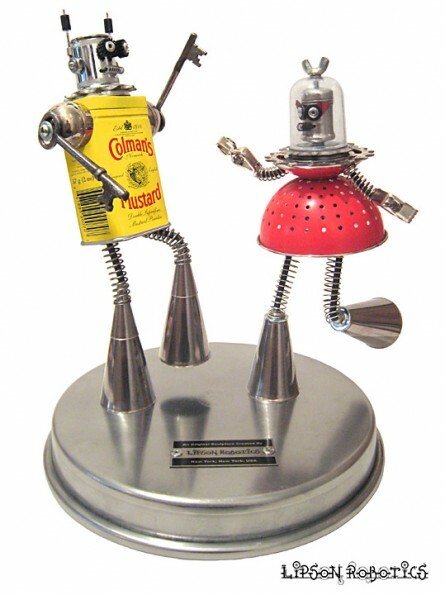 Inspired by his love of Tin Toy Robots, Sci-Fi movies and retro design, David Lipson makes robot sculptures from used items found in the street, the Salvation Army, construction sites, garbage dumps, flea markets, etc. 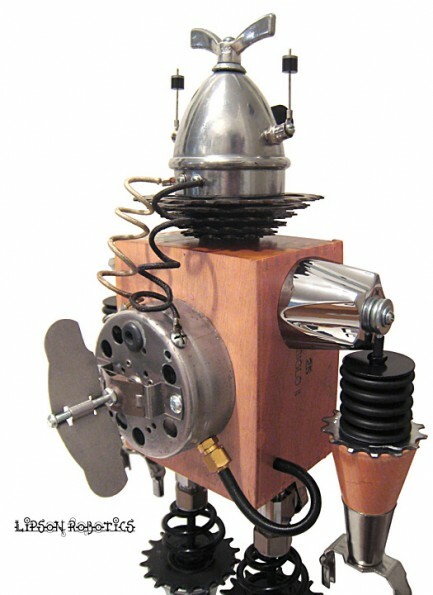 All parts are assembled with nuts and bolts without any welding. 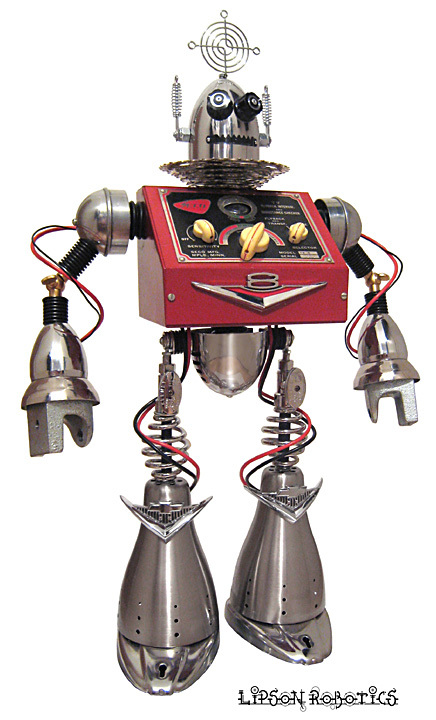 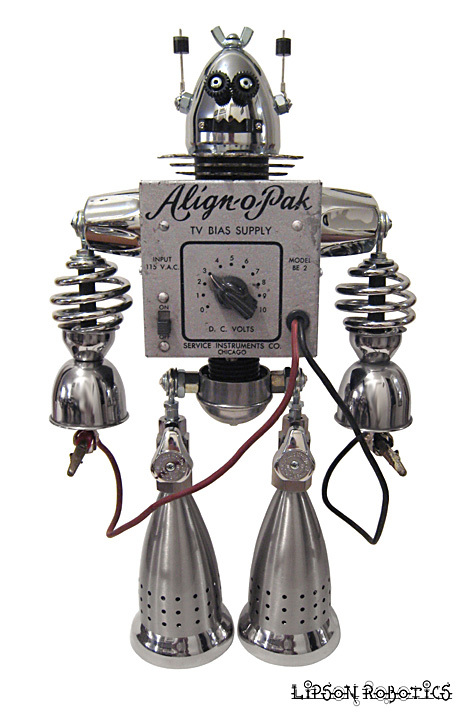 Each Robot is one-of-a-kind and varies in size from 14 to 28 inches in height.